FRAMINGHAM, MA – December 20th, 2014 — Beacon Services and Amica Mutual Insurance of Lincoln, RI., have successfully completed an implementation of additional PeopleSoft Financials applications. Established in 1907, Amica is known in the insurance industry for its financial strength and exceptional customer service. Beacon Services is an Oracle Platinum partner specializing in the Financial Services industry. 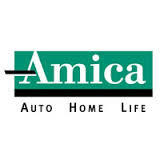 The Amica and Beacon PeopleSoft implementation added Purchasing, ePro and Inventory to Amica's ERP system. Amica currently runs PeopleSoft Financials on a DB2 z/OS platform.